Thank you for joining Scripture & A Snapshot. Leave a comment with a verse that God has placed on your heart this week, or leave a link to your own post sharing a Scripture and a snapshot. Take time to visit some of the other links, too. This Scripture and a Snapshot link will be changing; more details will be shared soon. Oh I love this. Break up your unplowed ground. 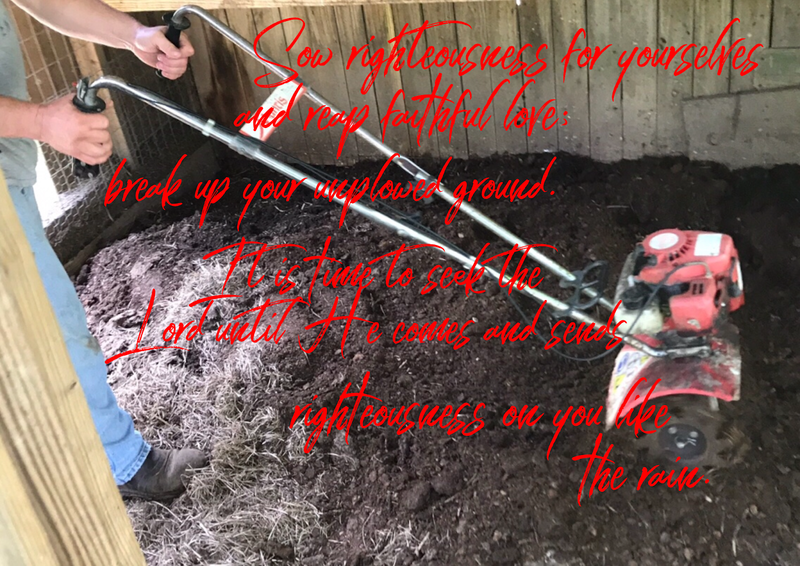 This verse makes me wonder where my unplowed ground is. What do I have that I need to break up so that it can bear fruit. I love the sow and reap part of this scripture. Sow righteousness: reap faithful love! What goes around comes around as my hubby would say!